All partitions door concealed turn latch knobs and covers are in stock for fast delivery. We offer them in a chrome plated or cast stainless steel finish. The concealed turn latch knobs and covers will come with the security screws if needed. We carry most manufacturers in stock, be careful most manufacturers look the same but are not. Most manufacturers have a name on the cover plate which goes on the outside of the door(1-1/2" diameter chrome plated or stainless steel). There should also be some numbers on the inside of the latch knob and cover plate, those numbers should be on our website in the search. 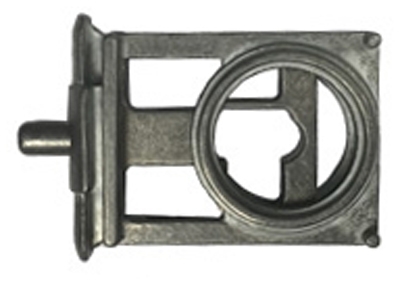 The Partition Ada Latch Knob Cover with Set Screw is constructed of Zamac die cast with polished chrome plating. Outside diameter of the knob and cover are 1-5/8" with the inner ring diameter of 1-1/4". 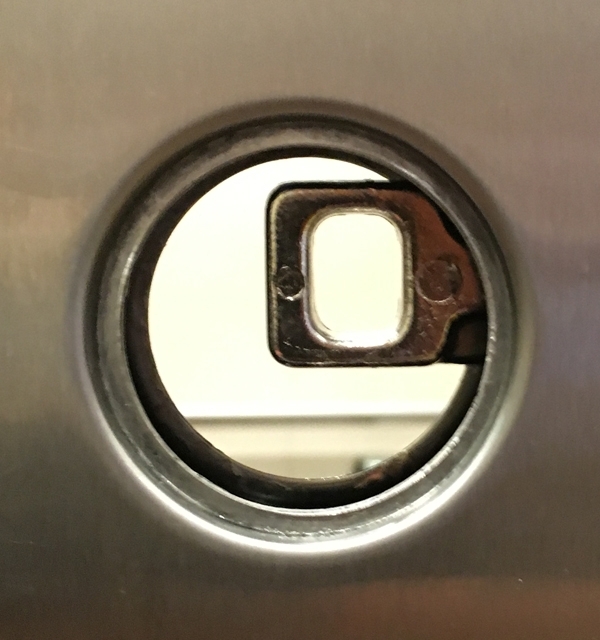 The ADA Barrier Free Lever is 2-9/16" long when measured from the all the way across the cover. 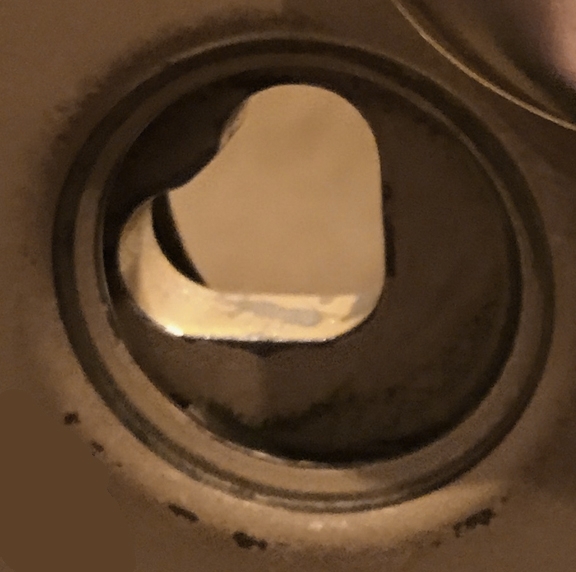 The cover has an overall depth of 1-1/4". 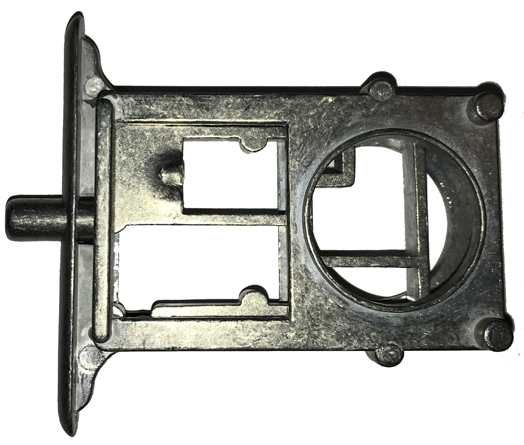 This piece is used with All American, Flush Metal, General and Global Partitions, and may be more. Also known as a Bathroom Stall Concealed ADA Latch Cover and Knob Assembly. Manufacture part number is 6150, and 163500, it uses a T27 Torq Bit that is included. The General Toilet Partition Ada Latch Cover Knob w/ Offset Pin is constructed of Zamac die cast metal that is then chrome plated and polished. Outside diameter of the knob and cover are 1-3/4" with the inner ring diameter of 1-7/32". The ADA Barrier Free Lever is 3-3/4" long. The off set pin has a diameter of 11/32" and 2-11/16". 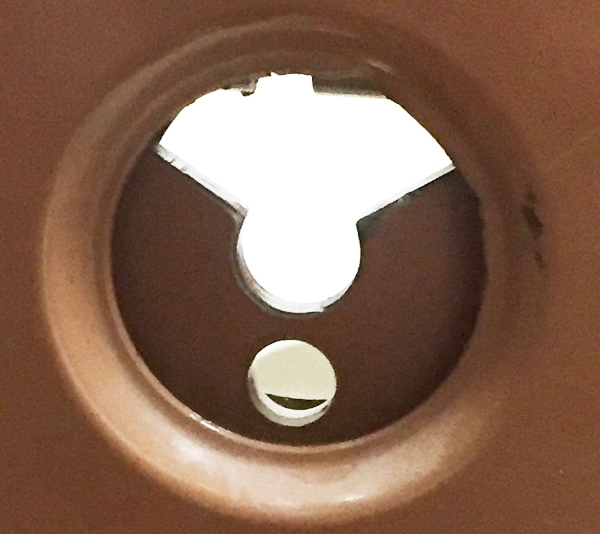 Also known as a Bathroom Stall Concealed Latch Cover and Knob Assembly. Manufacture part # 8190.